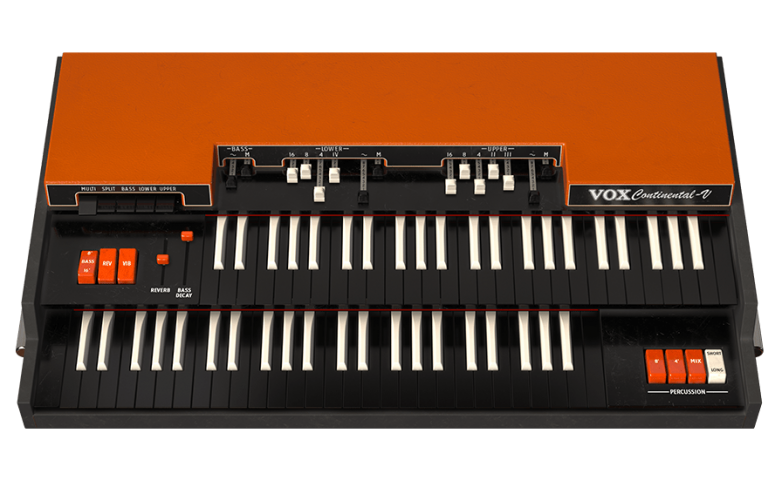 Physical Modeling of the VOX Continental 300. Added models of the ultra rare Jennings J70. Extended mode allows for more controls and more sound possibilities. Includes classic stompbox-type modeled effects. Modeled Guitar Tube Amp and Rotary Speaker outputs for vintage live sound. Extensive MIDI mapping of pedals, effects and sound engine parameters. Modeled amplifiers: *Fender Deluxe Reverb Blackface, Fender Twin Reverb Blackface, Fender Bassman, Marshall Plexi, Leslie Speaker. Modeled microphones: *Shure SM57, Sennheiser MD 421, Neumann U 87. Convolution reverb with custom classic spring reverbs. VST, VST3, AU, AAX and standalone versions. Switch between the VOX 300 circuit emulation and the updated Jennings J70 engine. Increase or decrease the background noise bleed that older VOX/Jennings have.